I like to include sight-reading activities in my students’ piano lessons from the moment they begin reading notes on the staff. 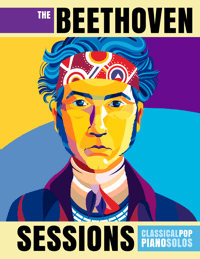 Doing so gives my students the confidence they need to tackle new pieces and to practice independently at home. 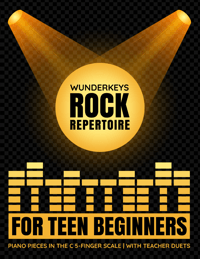 Print off the sight-reading activity (download instructions are below). Ask your student to close her eyes. Using a pencil crayon, draw a line (a “path”) from the puppy to the kitten. Your line should pass through 4 randomly-chosen circles to form a twisting pathway leading from the puppy to the kitten. Ask your student to open her eyes and place her right hand in the C 5-finger position. Have your student play the four notes (in the order in which they appear) that rest along the path drawn in Step 3. Using a different colored pencil crayon, repeat Steps 2 – 5 with a newly-created pathway to follow to repeat this activity using the same page. You can use this activity as a way to check-in on your students’ note reading accuracy, as an intro activity at the start of a lesson or as a way of reinforcing certain notes that need attention. Send it home for extra practice during the week too! And if your students love it… let us know, or share it on social media tagging us @teachpianotoday so we can see it in action! 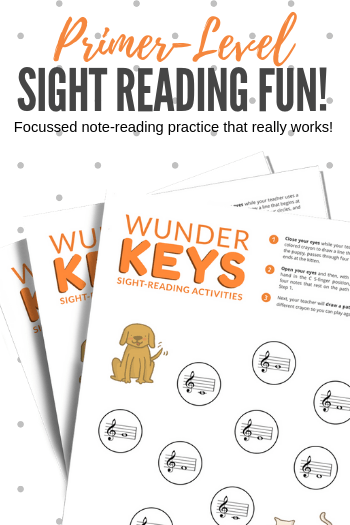 We’ll be creating more sight-reading printables for different note sets and concepts in the coming months. 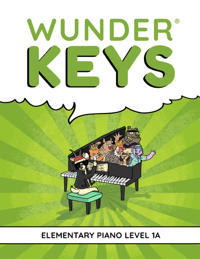 Where To Find Today’s Piano Teaching Printable? If you are a long time reader of the Teach Piano Today blog then you’ll already know that we share a LOT of piano teaching printables! …But today’s printable is just a little bit different than what we typically share. The WunderKeys family is growing. 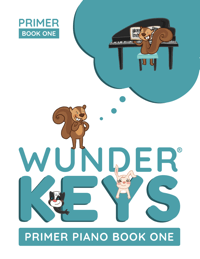 By the end of this year, WunderKeys will include Primer and Level 1 method books PLUS free supplementary piano printables that can be used along with each levelled book. 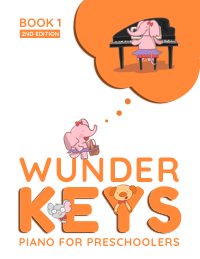 Today’s sight-reading printable for primer-level students is the first of many WunderKeys piano printables that we will be sharing with the Teach Piano Today community. 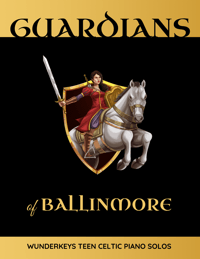 You can download it by visiting the resource section on the WunderKeys website found here. Simply scroll down to the “Primer” section and click on the image of today’s printable. 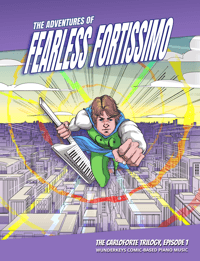 What Are “Scale Bits” And How Can They Help Your Piano Students?